My annual collation of favourite images shot during the last 12 months. As usual I was with the bride as she prepared for the ceremony, and rode in the car with Maria and her father to the venue. 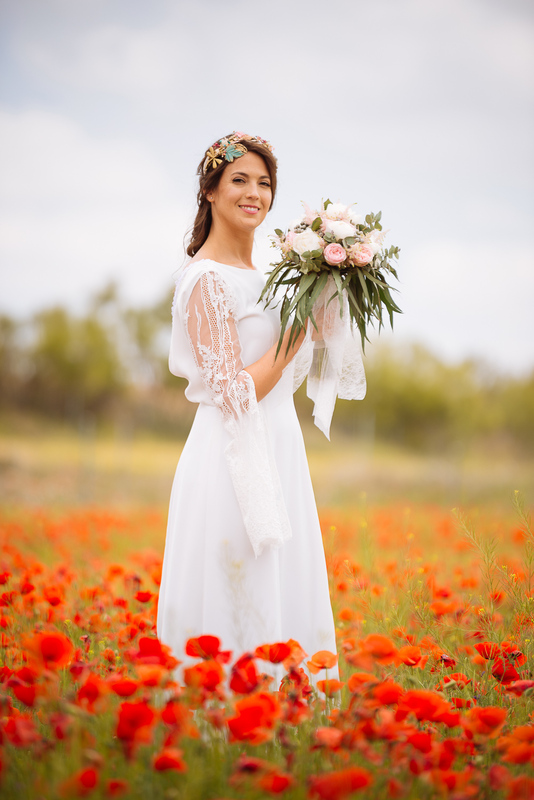 On the way I spotted this gorgeous field of poppies and asked the driver to pull over so we could do a few pictures in the middle of the flowers. 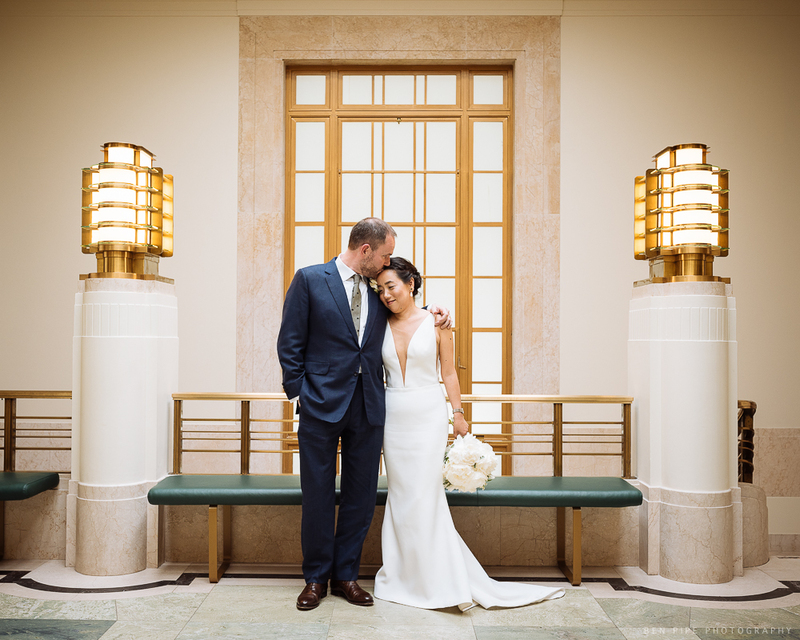 I had shot at Hackney Town Hall in East London the previous year, and done a very similar shot in the art deco hallway which separates the ceremony rooms there. I liked this moment Deok and Olly shared, a few minutes after leaving their wedding ceremony, sometimes couples left without any posing or direction provide the most intimate moments. 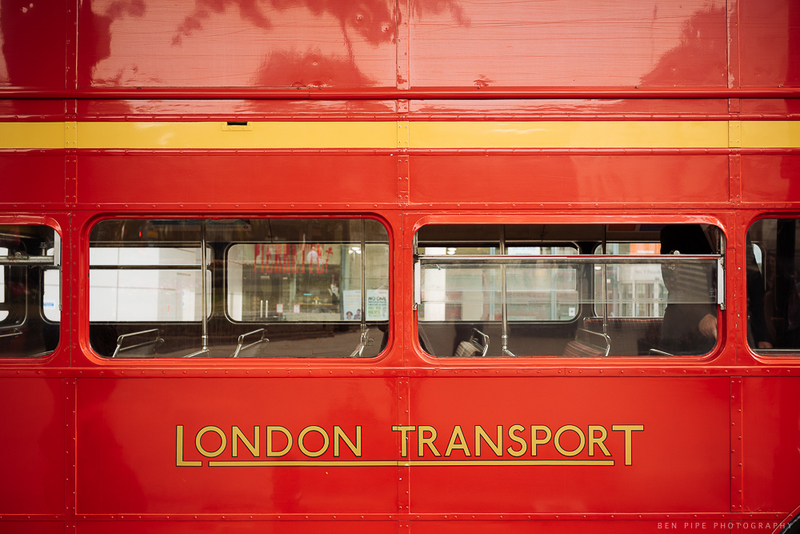 A detail shot of the transport DJ and Olly chose to ferry their guests from Hackney Town Hall down the road to the V & A Museum of Childhood where they held their reception. 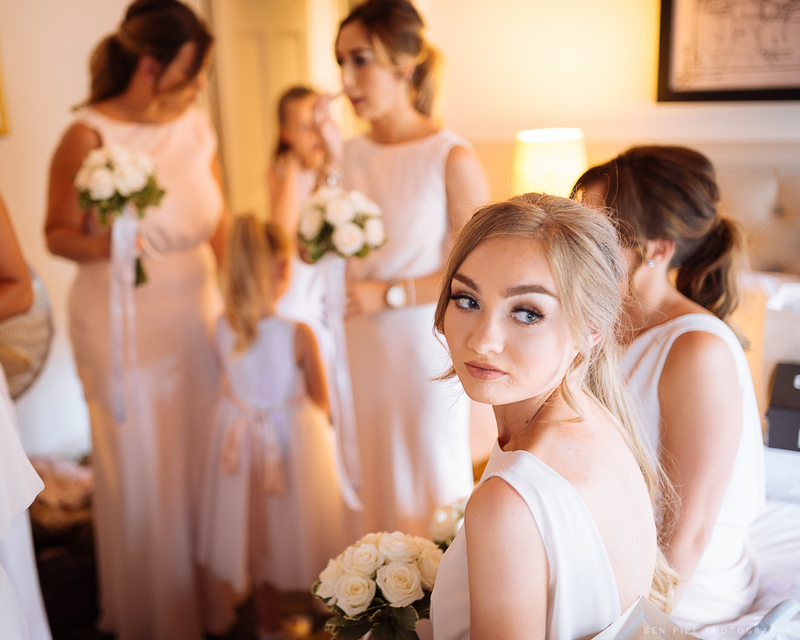 With everyone ready to head down to the ceremony something caught this bridesmaids eye behind her. 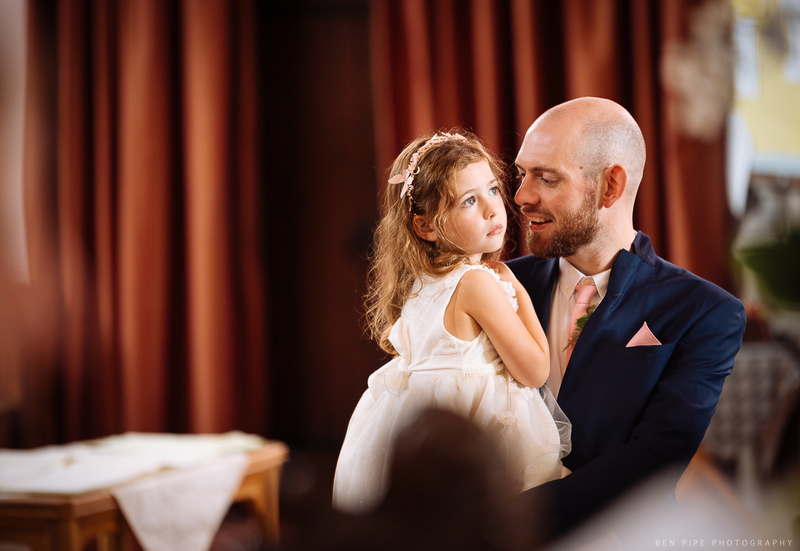 Kieran, one of the groomsmen, holding his young daughter at the wedding ceremony – keeping the children occupied during the quiet moments seems to be a perpetual battle for guests. After ceremony we drove out to Overcombe beach, near Weymouth, to do some location shots – so glad we did, this was shot right at the end, as we were walking back I realised the angle was better than the shots I had set up right by the shore, with the simplicity of the blue sea and sky as a background, I asked the bride and groom to stop for a couple more pictures. 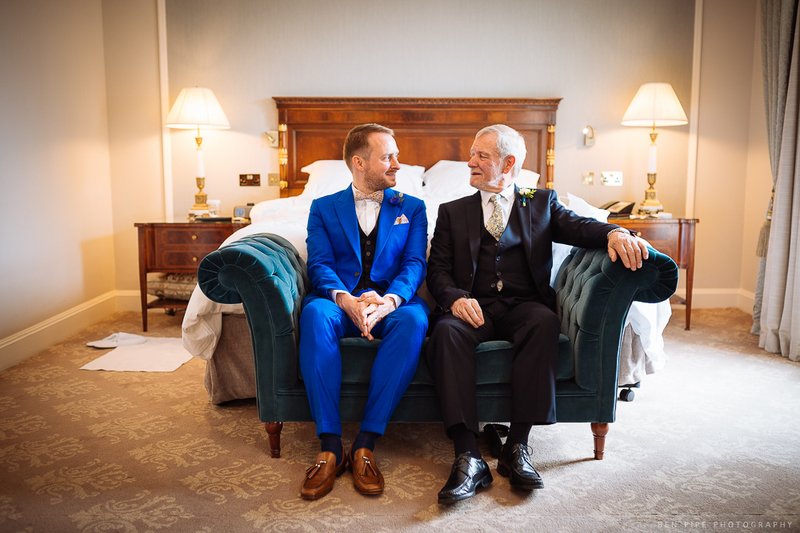 Father and Son share a moment on the couch before the ceremony. 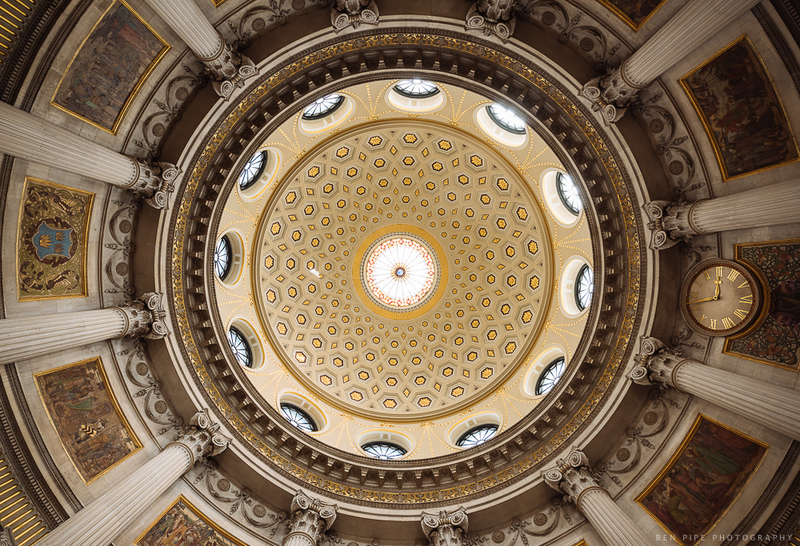 Ian and Alex held their wedding ceremony at Dublin City Hall, which is a stunning piece of 18th century architecture. This was shot by lying the camera flat on the floor and using self timer to activate shutter with a wide angle lens. 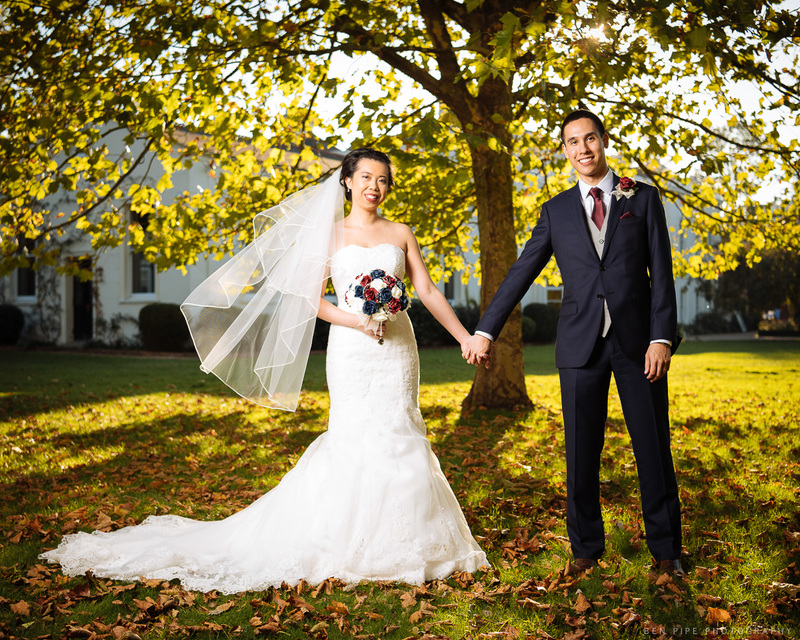 Dan and Mary got married late October, in my last job of 2018, and I was keen to use the Autumn colours in their wedding pictures. 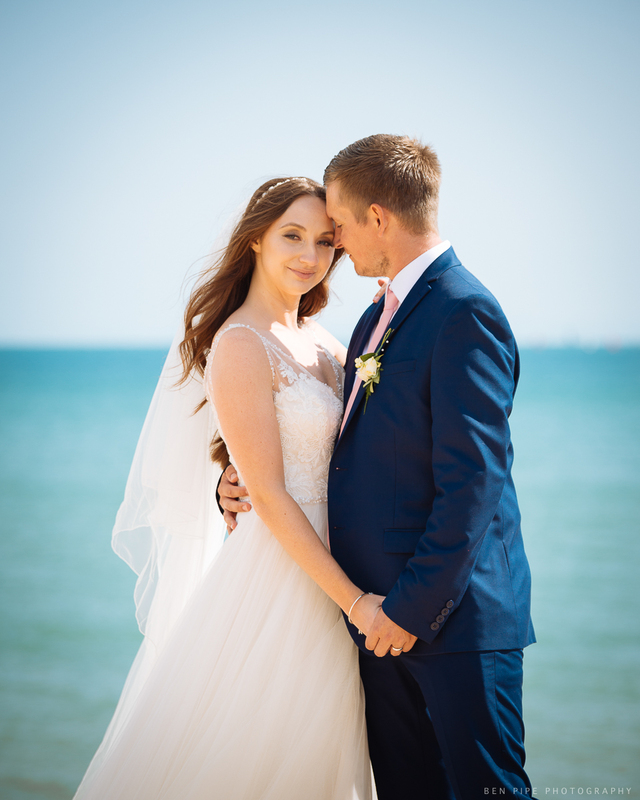 To cope with the strong backlighting from the sun I used a Profoto B1 Flash head with 5 foot octabox to illuminate the couple, really enjoy using artificial lighting to create something different from most wedding portraits. 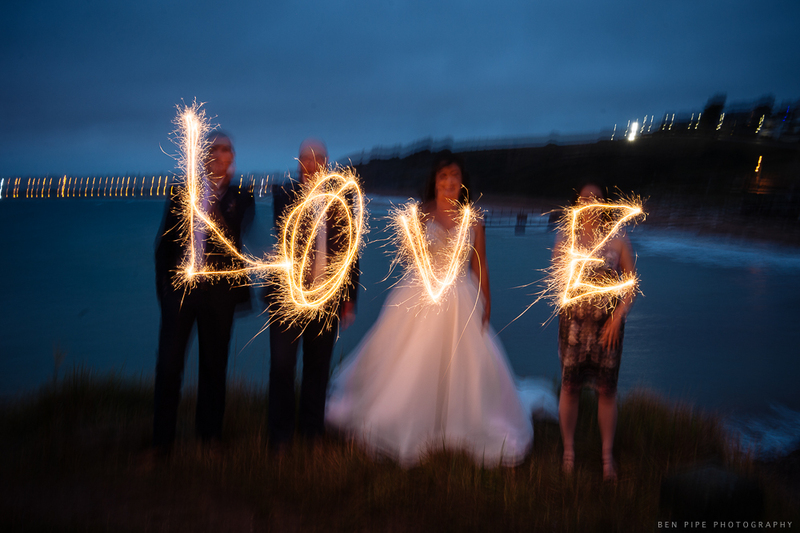 It had been a pretty miserable day weather wise but we got out at twilight to shoot this sparkler long exposure frame, with Weymouth Bay as the background. I think this was the ladies nephew – just liked the pose and expressions! 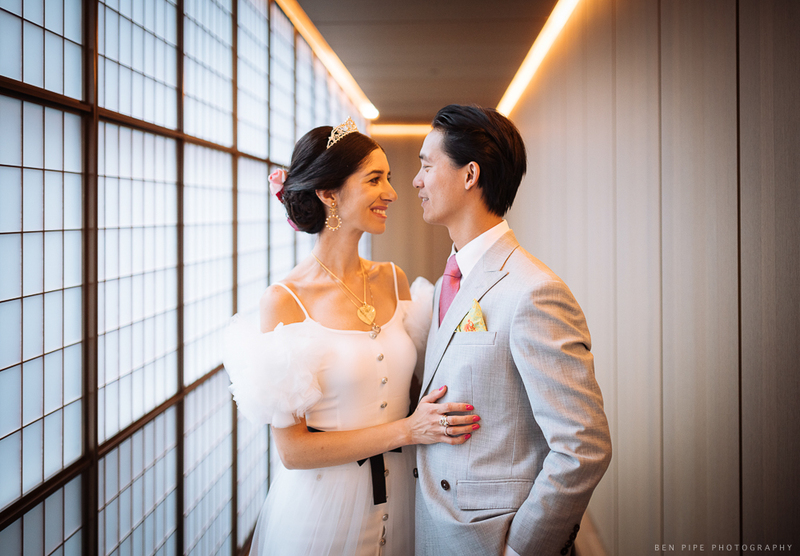 We used an area of the hotel modelled on a Japanese interior for these wedding portraits of Amelia and Mat, would be great to shoot a wedding in Japan but this is probably as close as I’ll get! 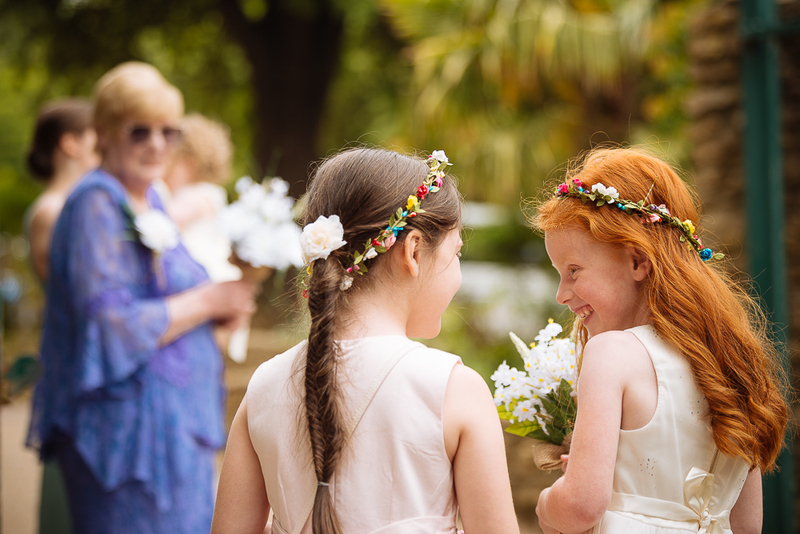 I loved the conspiratorial chat these two young flowergirls were having as they waited for the brides car to arrive at the ceremony in Abbotsbury, Dorset. 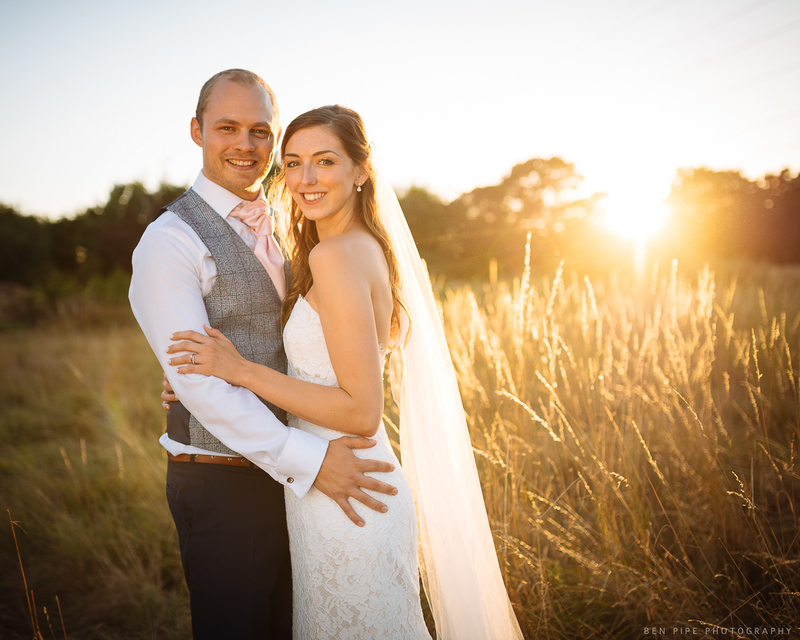 I managed to drag Megan and Sean away from their dancefloor just in time for this lovely sunset lighting, at the end of a perfect midsummer day, my assistant David provided invaluable help with a reflector to help manage the lighting contrast. 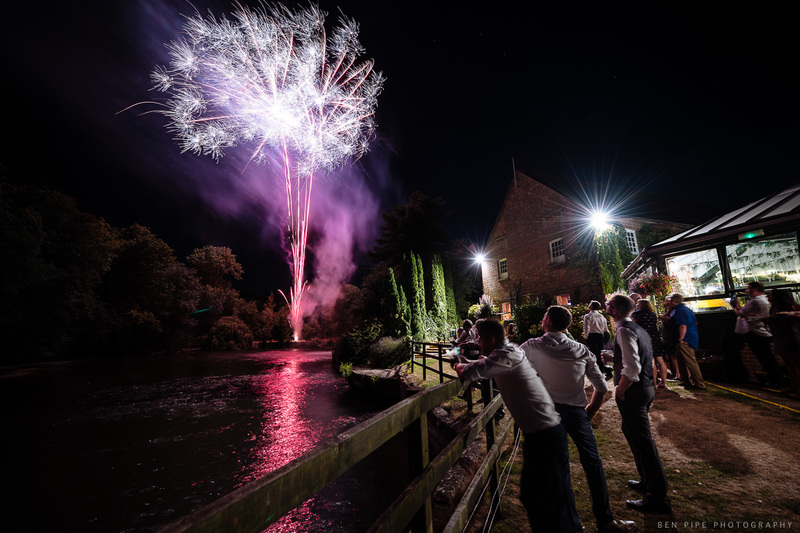 Shephali and Andy had this colourful surprise for their guests as the clock hit 10:30pm – a firework display! Luckily I knew about it and had time to set up a tripod to capture the action. 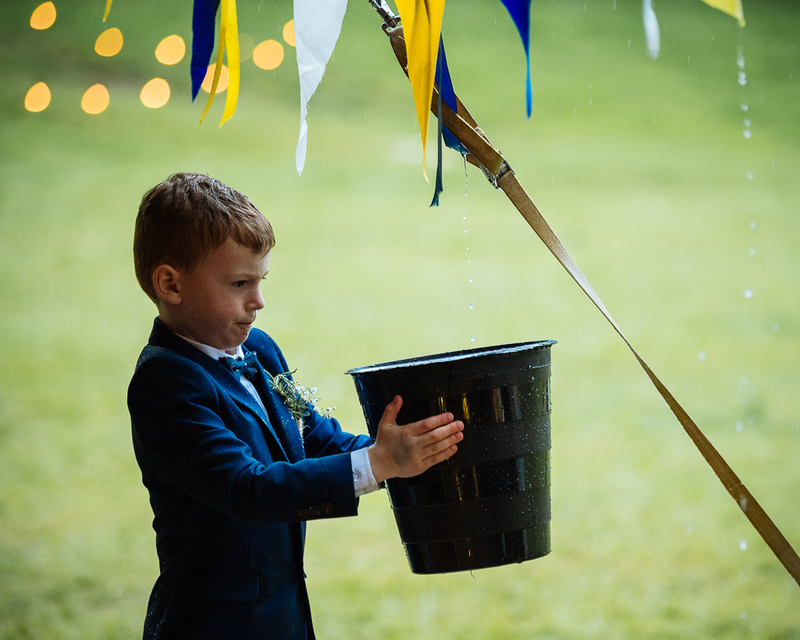 The rain kept coming down during Sarah and Will’s wedding and everyone had to help keep the water out of the marquee, including this little fellow. 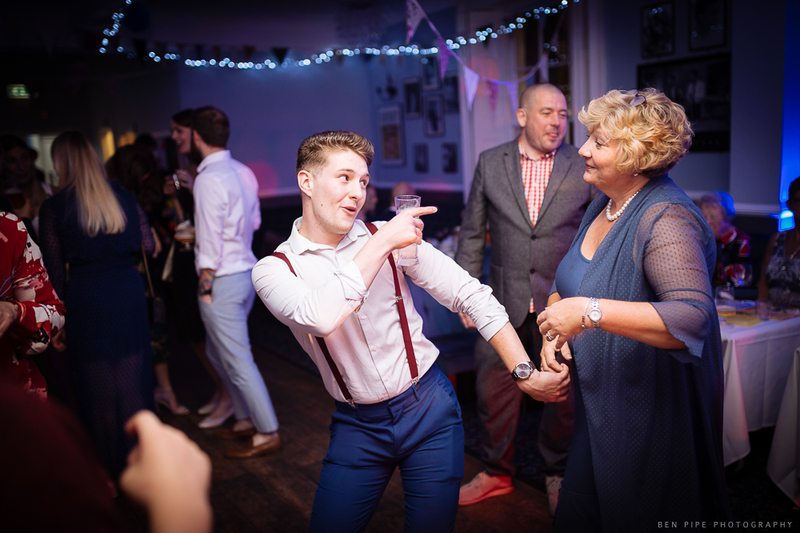 The dancefloor can be such a fun part of the day to shoot! 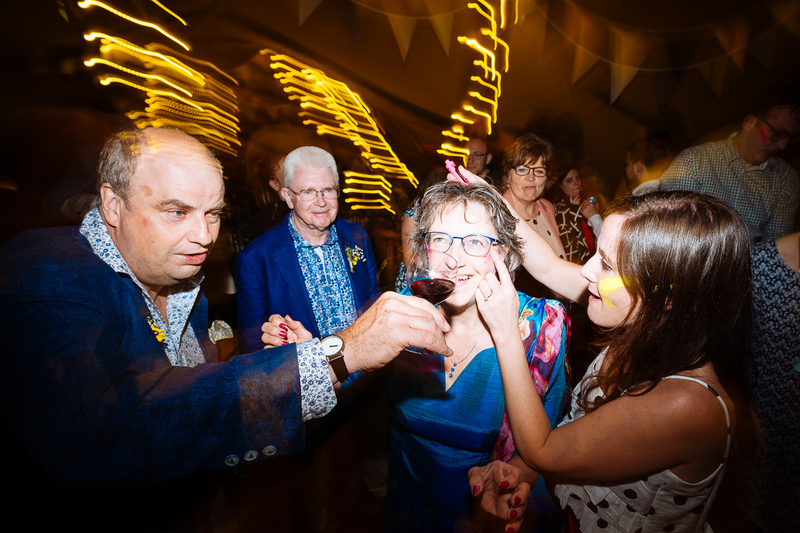 This lady is having face paint applied while another gentleman kindly provides wine. 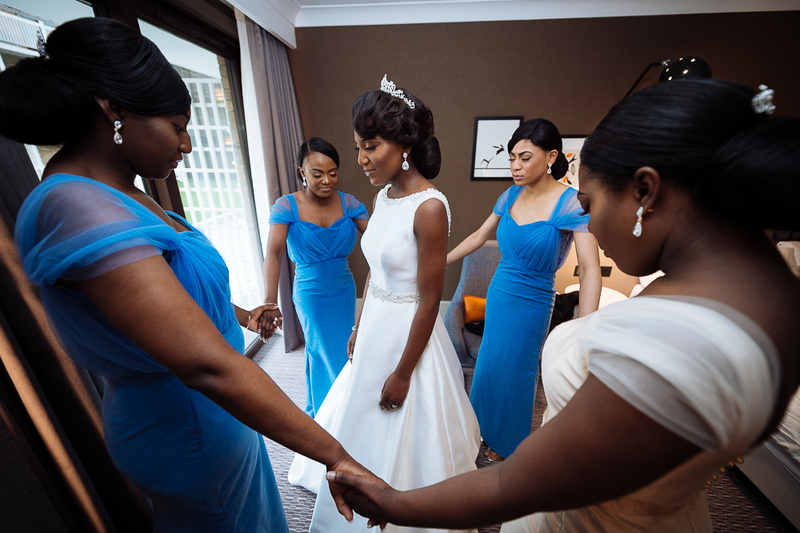 Micheline prays with her bridesmaids in the hotel room before her wedding ceremony. 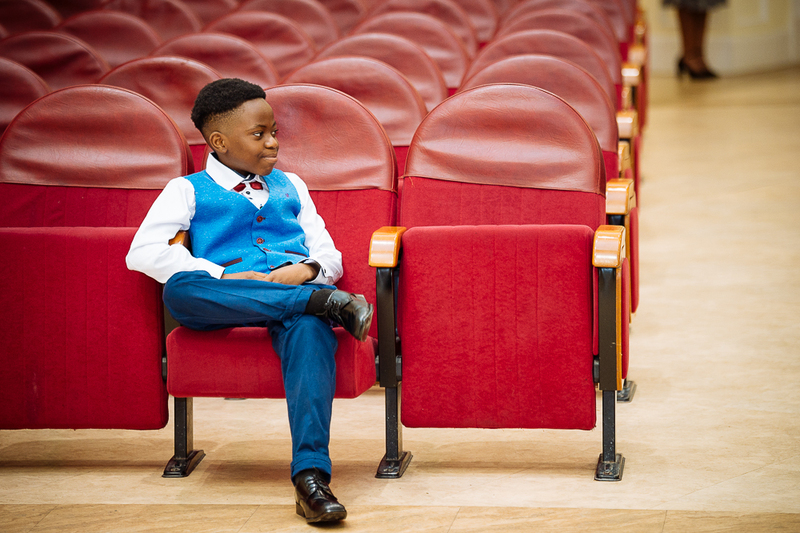 Liked the relaxed pose of this young guest at Micheline and Vainqueur’s Wedding back in April. 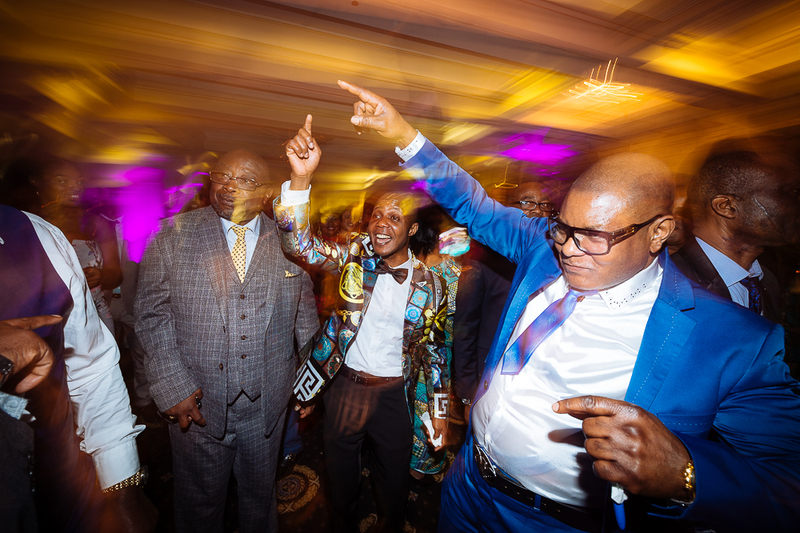 Action on the dancefloor – I like getting in close and working with a wideangle lens in a reportage style for this kind of moment.